America&apos;s national parks are heralded as pristine pockets of natural beauty, but that news hasn&apos;t stopped airborne pollutants from accumulating at alarmingly high rates in parks in the West. Eight years ago, spurred by reports of contaminants found in alpine and polar ecosystems far from where the pollutants originated, National Park Service leaders assembled an interdisciplinary team of researchers drawn from experts at several universities, government agencies and research groups. Their effort was dubbed the Western Airborne Contaminant Assessment Project. The team collected data on contaminants at Sequoia/Kings Canyon, Rocky Mountain, Glacier, Olympic, Mt. 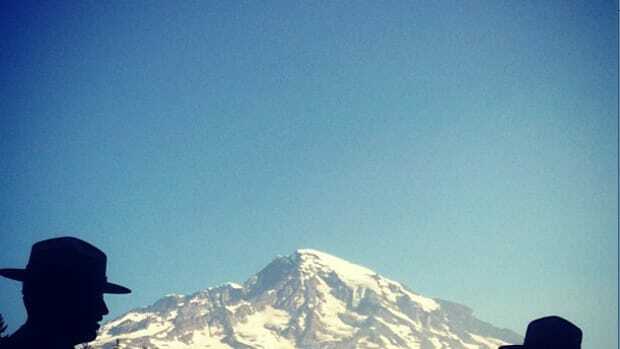 Rainier, Denali, Gates of the Arctic and Noatak national parks, then determined rates of accumulation and analyzed source and transport routes. • Of the 100 or more toxic substances tested for, 70 were found. • In the lower 48 states, the dominant pollution sources tend to be nearby land uses, such as agriculture or industry; pollutants drifting in from as far away as Asia and Europe were prevalent in Alaskan parks. • Hormone disruption, similar to what is found below wastewater treatment plants, is evident in fish in some parks. • Many fish in parks have reached or exceeded the threshold level of contaminants for consumption by humans or other animals that eat them. • The presence of flame-retardant chemicals is increasing in the parks. • Contamination tends to be worse at higher altitudes. Semi-volatile organic compounds (or SOCs) and metals were a key focus of the study because they easily blow into remote ecosystems. Researchers found that wind carries airborne pollutants up mountain slopes, where they vaporize and then condense in cold weather — and remain there, sullying pristine and sensitive high-elevation areas. One of the more important outcomes of the study is that it provides a baseline for future data collection and analysis, said Dixon Landers, project director and an Environmental Protection Agency senior research scientist. "I wouldn&apos;t be surprised if there are publications that use these data 50 years from now." 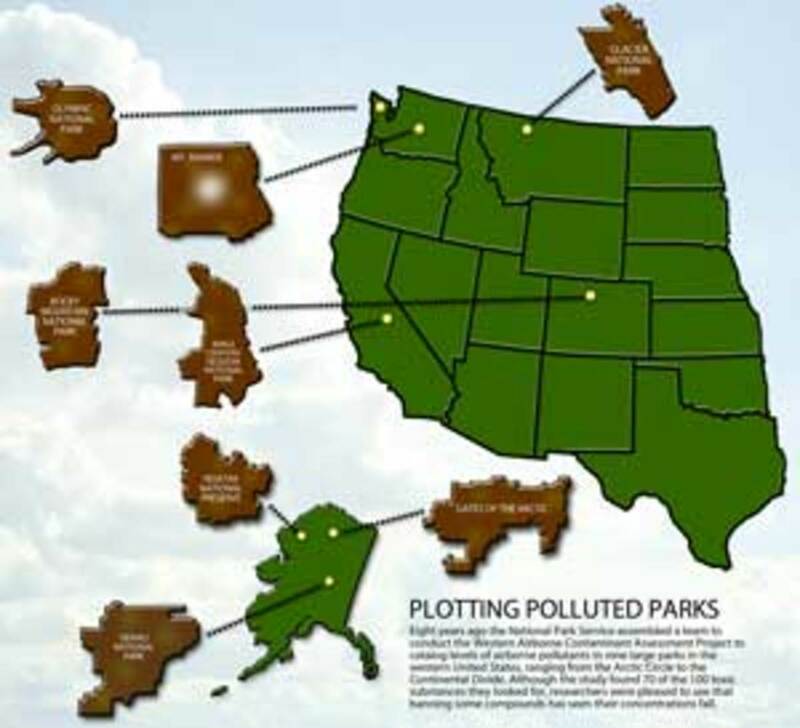 Plotting the polluted parks in the Western United States. Click to enlarge. Trying to determine where a pollutant occurs, its source and how it got there is like solving a mystery. "There was a purpose for each data set we collected," Landers said. "It was almost like forensic ecology — trying to deduce what the data was telling us. What you can unearth is pretty strong." The team studied several indicators, including snow catchments, lake sediments, fish, conifer needles, lichen, air and water, and eventually drew data from 12 other parks. Lake sediments offered the best information on historical trends and conifer needles were the most effective measure of current contamination. • Mercury (emitted from combustion of fossil fuels and the burning of hazardous waste and a cause of neurological impairment) was found in high levels in several parks; levels found in fish at Gates of the Arctic, Olympic, Mt. Rainier and Sequoia/Kings Canyon exceeded EPA thresholds for human health. • Dieldrin (a now-banned toxic, carcinogenic and endocrine-disrupting compound used to control insects on agricultural crops) was found in fish in Rocky Mountain, Sequoia/Kings Canyon and Glacier at levels above the EPA&apos;s human cancer risk threshold for recreational fish consumption. Concentrations in fish at all parks, except Olympia, exceeded human health thresholds for subsistence fish consumption. • DDT (an insecticide banned in the United States since 1972 and a known endocrine-disrupting compound) was found in fish at levels that exceeded the human cancer risk threshold for subsistence fisheries at Sequoia/Kings Canyon and Glacier. Staci Simonich, an associate professor in environmental and molecular toxicology at Oregon State University, conducted the tests for SOCs in her lab. She&apos;s since written two recently released WACAP reports on pesticides. and polycyclic aromatic hydrocarbons (PAHs are produced from incomplete combustion of fossil fuels and biomass decay). One interesting story that emerged from her findings centered on high levels of PAHs in Snyder and Oldman Lake catchments in Glacier National Park. Snyder received, on average, 8.5 times more PAHs than Oldman, and 10 to 100 times the concentrations of the other lake catchments studied. Since few people live around Glacier, this suggested that population and transportation weren&apos;t the only causes, or even main causes, of PAH deposition in some parks. Such high levels sent the team on a search for the culprit. Those who experience nature through the windshield typically donate less toward conservation than those with no exposure to nature. Read the story here. Snyder Lake is located about 28 miles northeast of an aluminum smelter in Columbia Falls; Oldman Lake is farther from the smelter and on the other side of the Continental Divide. EPA records show the smelter released on average about 14 tons of PAHs per year from 1999 to 2005. Woodstoves also release PAHs in the area. Through a process of elimination, the WACAP was able to tie the PAH concentrations at Snyder Lake to the plant, which was shuttered in 2005, mainly for economic reasons. Topography, too, plays a role in PAH deposition, as was found in two lakes in Olympia National Park. Hoh Lake, located on the northwest Pacific Coast side, had relatively low PAH concentrations, while PJ Lake, on the northeast Puget Sound side, has on average received 10 times higher deposition. PJ Lake is closest to the Seattle metropolitan area and to PAH emissions from ship traffic in the Strait of Juan de Fuca. Concentrations of pollutants at two lakes in Rocky Mountain National Park demonstrate urban impacts. Lone Pine and Mills lakes are only about 6 miles apart, with Lone Pine on the west side of the Continental Divide and Mills on the east. Although both have similar land-use patterns, nearly 98 percent of the population within 90 miles is found on the east side. 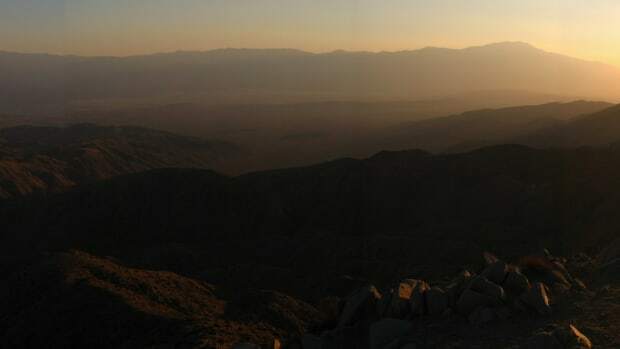 Despite prevalent westerly winds, Mills receives significantly higher levels of flame retardants known as PBDEs than does Lone Pine, showing three to 24 times the amount of PBDEs in sediment samples. Extrapolating precisely what pollutant levels might be found in other parks or recreational areas based on findings would be difficult, although general trends might hold. Simonich said the WACAP findings show each park is unique. "Each has similar pesticides coming in, but in varying ratios. So each park is receiving some different combination of these pollutants," she said. "You could almost look at a list of parks and calculate the amount of land use around a park in terms of agriculture or population and get a sense for higher concentrations. And you could also look at pesticide-use maps and get some sense for which pesticides might be in which park. So there is some predictive capability." Researchers broke semi-volatile organic compound into four categories: currently used pesticides, historically used pesticides, industrial-/urban-use compounds and combustion byproducts. They found that historically used pesticides, many of them banned in the United States for decades, were persisting in parks, and in much higher levels in the lower 48 than in Alaska. WACAP project manager Tamara Blett, an ecologist for the National Park Service, was particularly surprised to see the high historically used pesticides levels in some parks, citing dieldrin. "It&apos;s still showing up in current samples," she said. "It hasn&apos;t been used in the U.S. since the mid-&apos;80s." Dieldrin was found on new snow catchments, she said, so it is coming up from soil or from countries where it&apos;s not banned across the Pacific Ocean or "from the global soup of pollutants that circle the atmosphere." The WACAP study has already borne some fruit. For example, the federal EPA this spring banned the endosulfan, which killed pests on fruit, vegetables and cotton but also caused neurological damage to farm workers and wildlife. WACAP data showing it persisted in the environment, along with data on concentrations of the pesticide in the Everglades National Parks, were used by those advocating for the ban, Blett said. WACAP also made data on other pesticides available to the EPA, which is considering a ban on pesticides in certain valleys in California and is providing EPA and the U.S. State Department with science gained from WACAP for use by the Stockholm Convention Treaty, which is developing a worldwide treaty on persistent organic pollutants. Simonich suggested that if there was interest in reopening the Columbia Falls aluminum smelter near Glacier, the WACAP study might have some effect on the decision. Meanwhile, the park service is holding regional workshops to address concerns related to individual parks. "We&apos;re going across borders to think about ways to pool our money and leverage funds so that we can do cooperative work," she said. A follow-up study is looking at the problem of intersex fish, which surfaced in the WACAP study, Blett said. Intersex fish exhibit both male and female reproductive structures; their occurrence has been linked to endocrine-disrupting compounds, which exist in various pesticides. Fish samples are being taken from many more lakes and parks. Dixon, who since has become a researcher for EPA&apos;s Ecosystem Services program, looks back on his WACAP work as, in some sense, groundbreaking. "We looked at some of the most pristine areas in the world and we found, not surprisingly, that a lot of these chemicals that we&apos;ve used — currently use — are showing up in these systems," he said. "In my view it&apos;s a recognition that there&apos;s no easy solution to pollution." However, both he and Blett were optimistic about the future for the parks, citing data that show that banning of pesticides in the past has resulted in a decline in most parks over time. "I think the most hopeful thing I get out of the study is if pesticides are reduced, we do see that reduction in the parks," Blett said. "What we saw in the sediment work shows that banning and reducing pollutants also means that there will be less of them that show up in park ecosystems. It means that we as a society do have some choices and some control over that." "We did something right 20 years ago when we banned some of these pollutants," Landers said. "It&apos;s going to take some time for the system to bury them."